Quote: The American Gun Owner's Alliance is your one stop shop for the most up to date, accurate, and honest information relating to your Right to Keep and Bear Arms. Join today as an individual, or register your organizition, and allow yourself access to all the latest news and information about what is important to you as a supporter of the Right to Keep and Bear Arms. Check proposed laws from across the nation. See the latest announcements from groups you belong to. Receive alerts about local, state, and national events that you, as a gun owner, need to be aware of. Find a firearms attorney that practices in your area. Look up the nearest gun show. Find a group or organization to join that relects your beliefs. It's all here, and it's all free! This website was founded, and run by, current and past members of PAFOA, PA2A, and other pro-gun forums and organizations. It is not a political lobbyist group, no one will solicit anything from you. They only ask that you get involved. We're not in this fight alone. 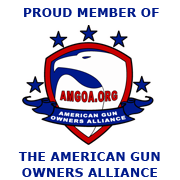 Quote: AMGOA is a concept that came into being, due to the lack of communication between gun rights groups. Our biggest problem, as supporters of the Right to Keep and Bear Arms, has always been the ability of those who would take our rights away, to divide us on issues that are ultimately important to us all. Their ability to keep the hunters out of debates on concealed carry laws. Their being able to convince us that the laws being passed in another state don't concern us. Their ability to feed the flames of division between different groups, whose goals are the same, but whose personal philosophies differ. At AMGOA, all of that nonsense stops! We don't care about your personal philosophies, prejudices, or preconceived notions. All we care about is getting information out to you, in the easiest and fastest manner possible. Groups can have a central place to make announcements that anyone can see, not just their members. Individuals now have a central location to get updates from groups they didn't even know existed. We all now have a central location to speak out against those who would take away our Rights! Emptymag;88526 Wrote: Any moderator positions open? No forum! Not now not EVER! Oh, I see... created a place where you CAN'T be banned, did ya'? actually, I think Dave is smart to not have a forum on the site so it can solely focus on pushing out information, not battling with forum debacles. What is the point of being a "member" then? Not trying to be a douche, just wondering.